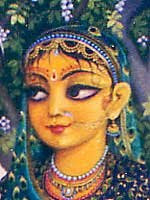 Taravali is one Gopi of Candravali’s group. Her name means “many stars”. More on # Taravali in our Archive.